I think the building of the round bottom continues and the subwaves count keeps being coherent as you can see in the following charts. You can zoom them to see the clearly. 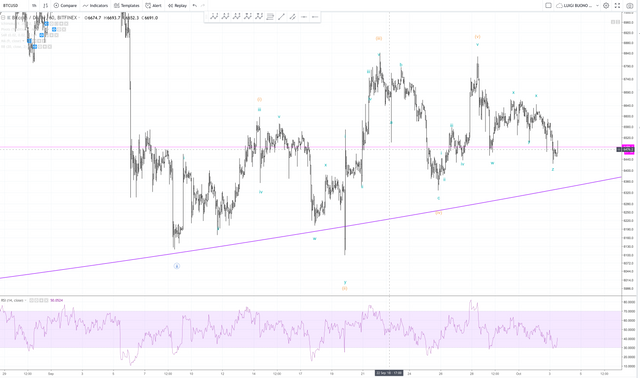 In the 1h tf I think we just completed the correction of a leading triangle in wave one, this correction looks like a triple three. In general I think we are at the start of the next wave 1. I still have a big doubt about the count of the biggest degree, we could be in a start of wave 5 primary or in a wave 3 cycle, it depends if we consider the last big correction as a wave 2 or 4. 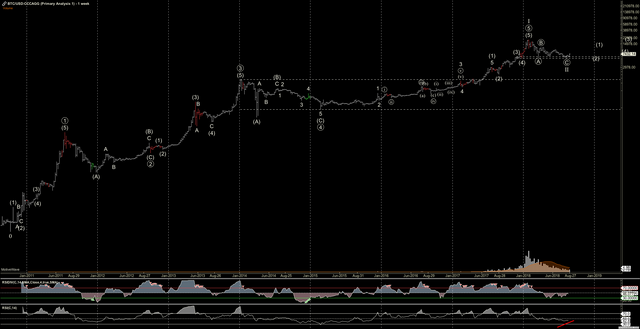 Both counts have coherent subwaves but the entity of the correction makes me thinking more to a wave 2. If it is, welcome to the golden age. If it is a 5 primary then, we could also have a truncated 5 as seen the 4 was so big and the Bitcoin rise could end not so far from the start of the re growth which still has to arrive clearly. 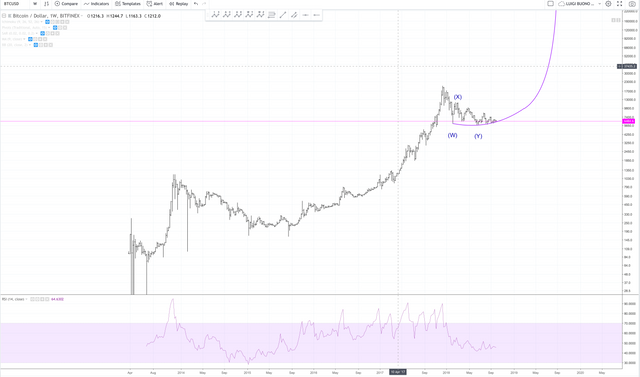 It could grow and stop below 20'000 and then do a very big dump.